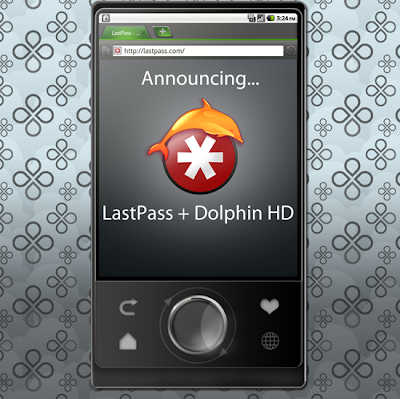 LastPass has just added support for the Dolphin HD mobile browser, available on Android 2.0+. The Dolphin browser is currently the most popular browser on the Android market, and now you can enjoy browsing with multitouch zoom, tabs, and now, your LastPass vault, wherever you go. 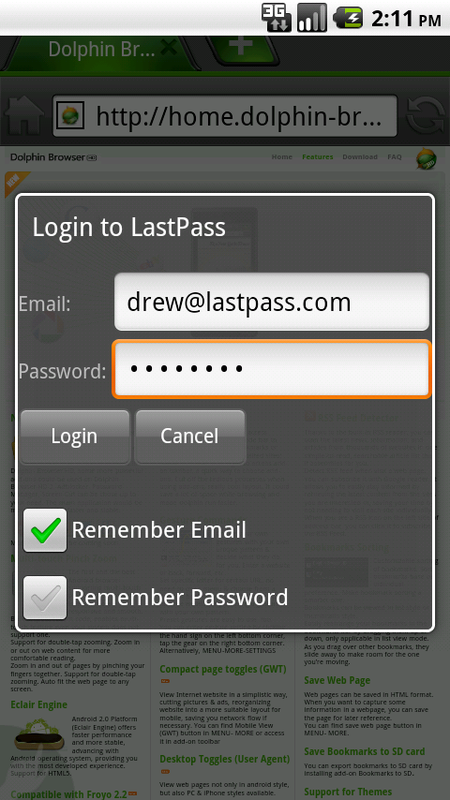 To start using LastPass with the Dolphin HD browser, first install the browser from the Android market. After you have the browser installed and running, you can search for the LastPass extension from the Android market, select LastPass for Dolphin, and download and install automatically. Once you've installed LastPass, click on the LP icon and you will be prompted to sign in with your username and Master Password. Once you're logged in, you can fill forms and enjoy the convenience of having your passwords securely autofilled as you browse on the move. LastPass for Dolphin HD is available today for all Premium customers. If you'd like to know more about LastPass Premium, we have a comprehensive features list on our website.